The kitchen table is, for many of us, the absolute heart of our home. It’s not just meals that happen around it but all sorts of other family stuff, too – from the routine to the important to just fun. Stokke, maker of the ingenious Tripp Trapp highchair that fits right up to the kitchen table, wants to know all about what happens round your kitchen table. And you could win a Tripp Trapp highchair (with baby set and cushion) in a colour of your choice, worth over £250, for telling us! To be in with a chance of winning, please post on this thread to describe some of the amazing/amusing/everyday family things that happen around your kitchen table. 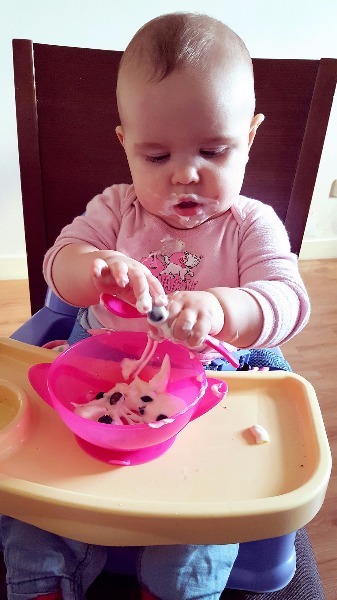 Don’t forget to tell us how old your children are, and please do feel free to post up pictures of your family at the kitchen table– Stokke would love that (and it increases your chances of winning the Tripp Trapp). 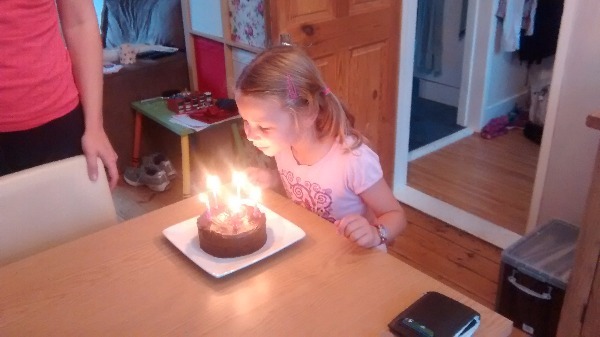 We're looking forward to reading about – and seeing – some really lovely moments of kitchen-table-based family time. Everyone who posts about what happens around their family kitchen table will be entered into a prize draw to win the Stokke Tripp Trapp highchair. If you post up a picture, too, we’ll put your name into the draw twice. We'll keep this thread open until Thursday December 15th and we’ll announce the winners’ name on Monday December 19th. 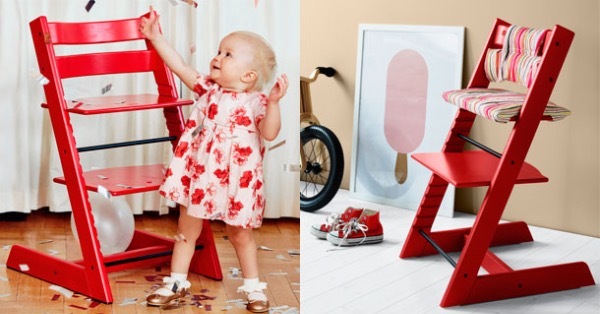 This discussion is sponsored by Stokke Tripp Trapp. Please note that comments and pictures you post here by be used by Stokke in future marketing material. 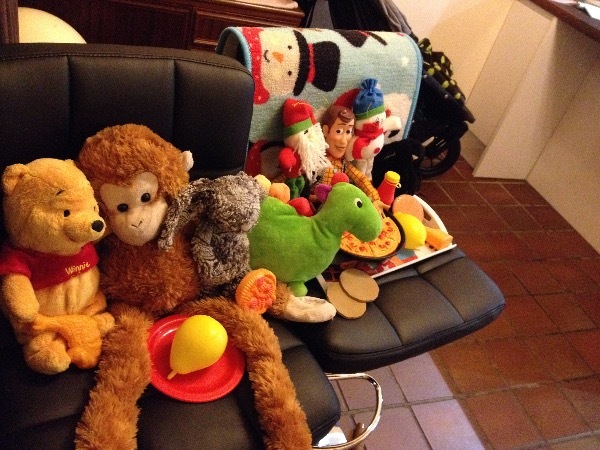 Generally the kitchen table is where we all sit and have a chat at the end of our busy days. 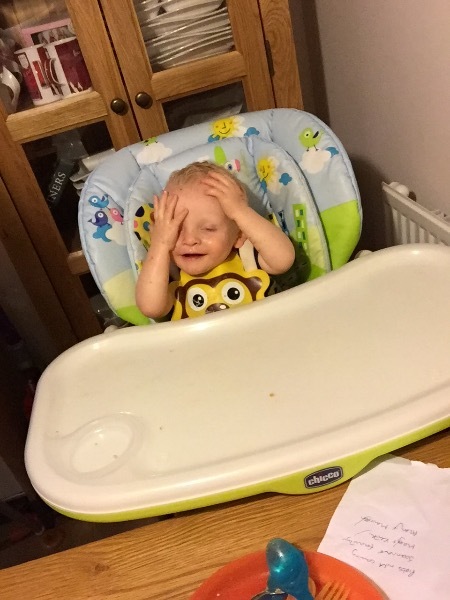 our eldest son tells us about his adventures at pre school, and out younger son usually showcases his new words! 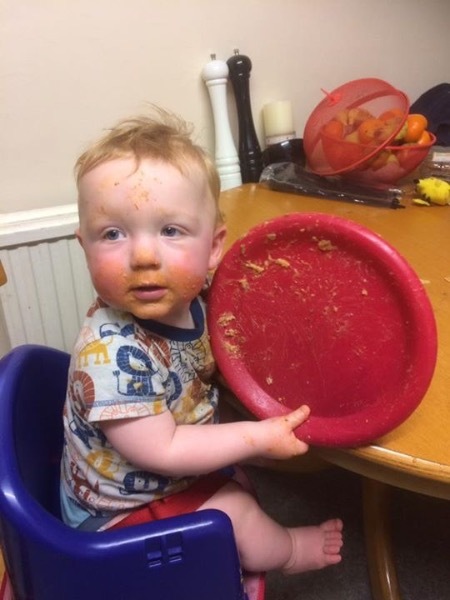 Cameron is now 1 and an amazing little eater he loves pasta and vegetable. My daughter is 6 years old and my son is 5 months old. Our table is used for many things. 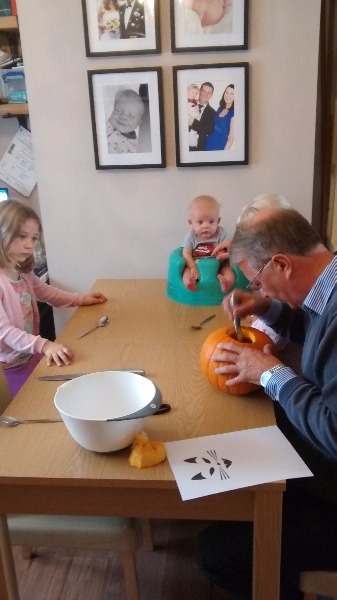 From doing colouring in, homework and writing number lines to blowing out birthday candles, pumpkin carving, evening meals and Christmas dinner! My routine with my daughter is that we get in from school, sit down at the table and have a hot chocolate and a biscuit together and then she tells me about her day. 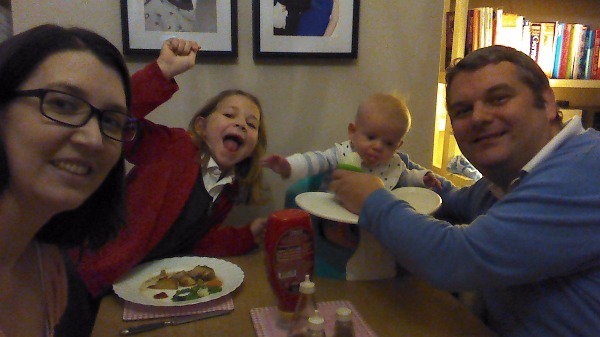 Today was a first at our family evening meal. 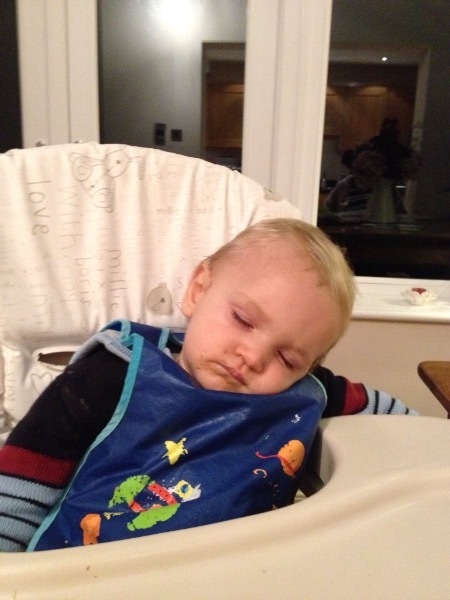 It was the first time my son tried a breastmilk ice lolly! 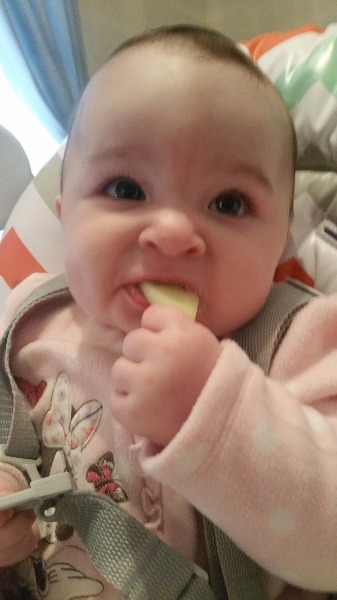 I hope to start baby lead weaning from 6 months once he is sitting up on his own. So our table hears lots of stories, provides lots of fun and lots of firsts. My kitchen table has multiple uses, homework, art work, but more importantly supper with my gorgeous four old although conversation about what he had done at school is limited as his answers are always the same such as, he has done nothing and learned nothing and seen no one !! but I am more successful talking about animals or cartoons with him, not much conversation with my other son either but then he is only a month old! 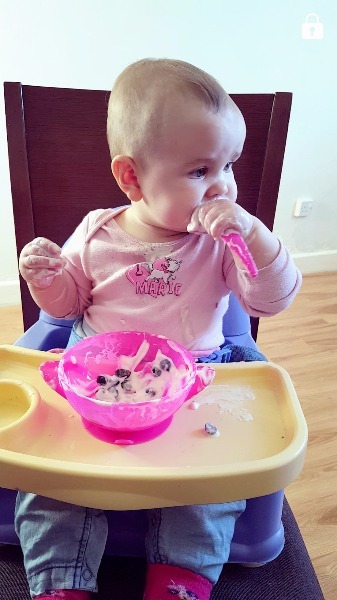 Dining room became our favourite place in a house since out little one started solid foods. We have a busy busy daddy who works 10 hours a day and sitting around dining table at the end of the day is such a lovely family time. Just chatting and watching little girl learning to eat different foods and exploring different textures means the world to ud and we enjoy every single minute together. Can't believe how fast time goes. 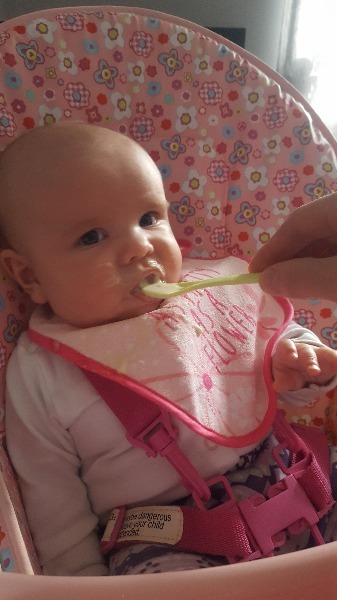 From us feeding her to her trying to feed herself. Favourable place in the house. Emellia absolutely loves watching both me and my partner having food and fun doing silly faces. She has her food first ( although she moans when I eat) opens her mouth as if to say I'll have some! 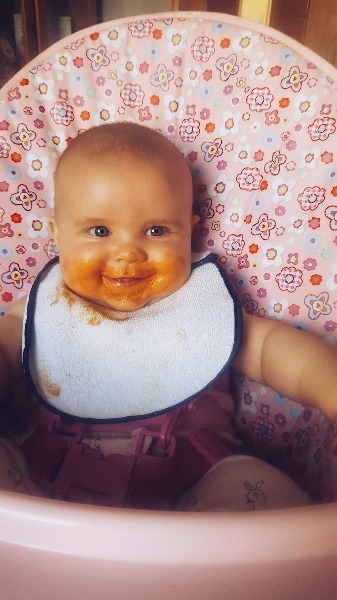 She is one messy eater. But that's OK for now. things arenot being thrown about yet! 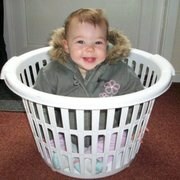 Her daddy works away abut a week every 2 month's. So these times are precious!! 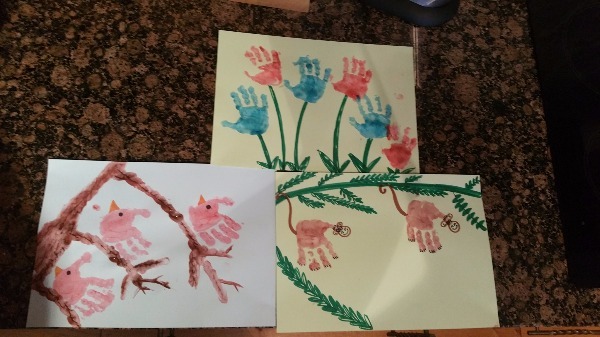 We also get busy and messy when doing arty things. 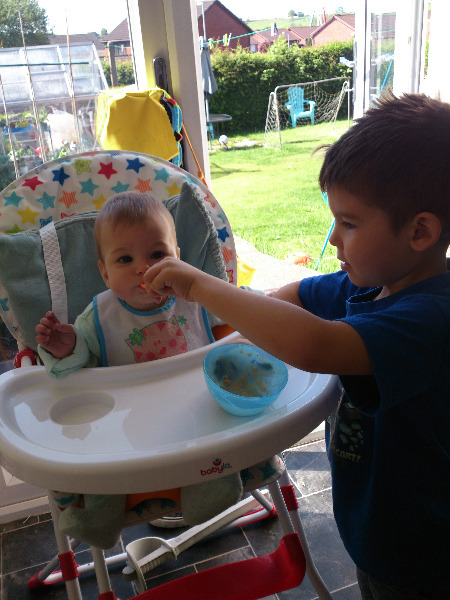 adorable watching these two bond over some banana porridge! Round our family table we talk about our day and about the good things and the not so good things that might have happened. 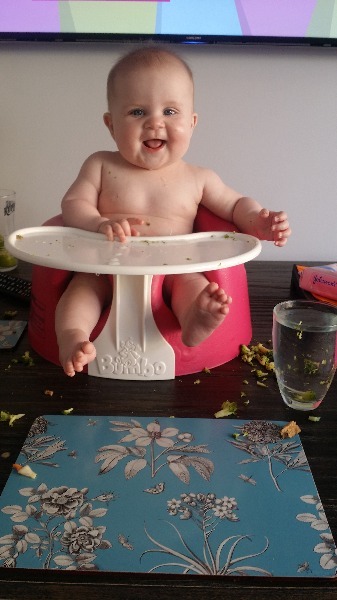 We also try our best to feed and entertain the littliest smith baby whilst trying to eat our tea too. We try and have our meals sitting down together but it means the kids eat later some times. We have a chat about our day and usually about what is happening the next day. There is usually a lot of mess so everyone needs a good scrub afterwards! Sometimes we play peekaboo! Yes it's where we all 'sit' to eat our meals! Or in honest I'm usually the one whose up and down catering to various requests and the children are being asked to please remain seated at the table and that chairs are for sitting on. Very often mommy has to agree to a variety of little friends to join us so that we actually remain at the table. 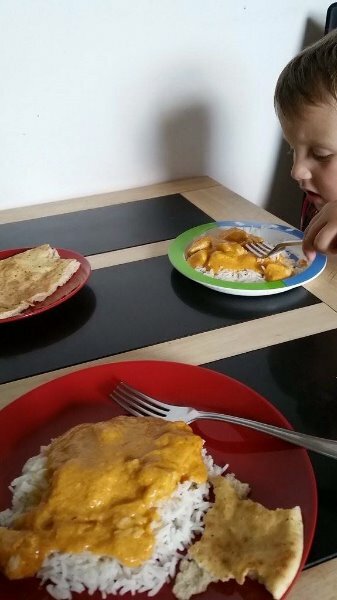 the most amazing thing that happens at my dinner table, is both kids eating their dinner without moaning. That makes me unbelievably happy. They have such different tastes and likes, it is so difficult to make a meal that everyone enjoys.